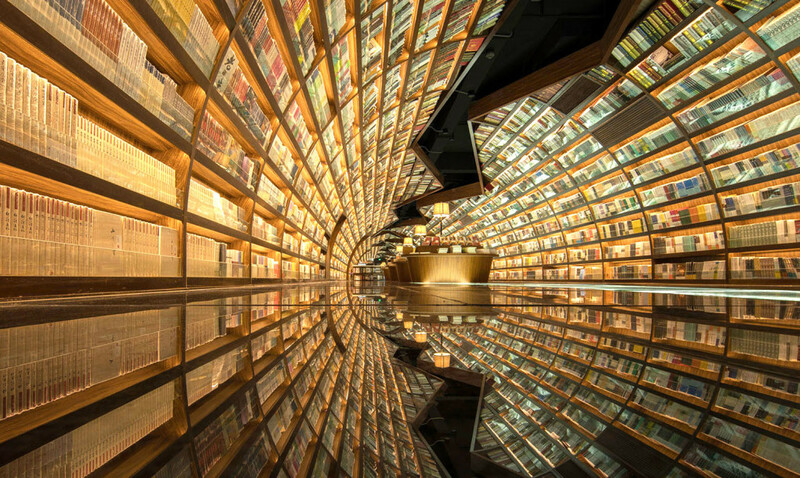 The trippy, river-like floor of this unique bookshop in Zhen Yuan, China reflects arched book shelves and leads visitors through the space. Book retailer Zhongshuge commissioned Shanghai studio XL-Muse to design the interior of the surreal store. The design was influenced by the store’s location, which resides in an area dominated by arched bridges and water.